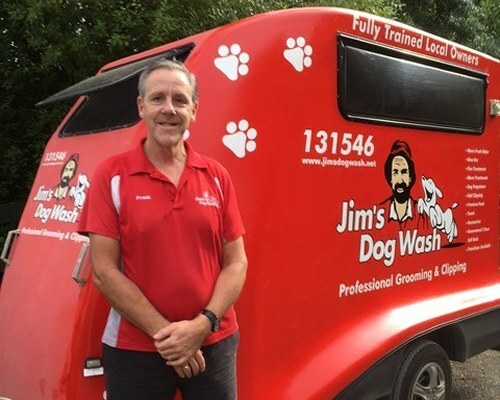 With over 10 years experience as a Jim’s Dog Wash franchisee, you can count on me to be able to handle just about any pooch and receive quality service. Well organised and very reliable along with a love of dogs, your best mate will be in good hands as he/she receives the pampering they so richly deserve. I cover a large area ranging from Emerald to Boronia, Wheelers Hill to Narre Warren South and most points in between. If your dogs in need of a wash and you live in the Ferntree Gully area contact Jim’s Dog Wash on 131546 or BOOK A DOG WASH on line and have Frank come out and look after your pooch.